Our eyes are the only place that we can see visuals of the blood vessels painlessly without probes and anesthesia. Thus various heart conditions can affect the eyes and can be detected with a routine eye exam – which can save a life! Countless other systemic conditions such as diabetes, AIDs, thyroid disorders, cancer, multiple sclerosis, and many other conditions can also affect the eyes and can lead to serious loss of vision in addition to significant damage to the body if undetected. 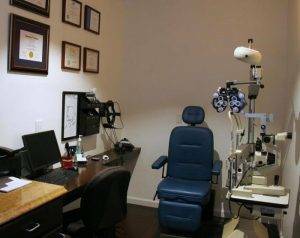 Our comprehensive eye exams in Montrose, CA and Glendale, Los Angeles provide a thorough evaluation of ocular function and health in addition to the refractive prescription. To assess the complete eye we do recommend a routine dilation, though this is not mandatory. We also evaluate how the eyes work together as a pair, the eye muscles, focusing ability, eyelid function, dry eyes, ocular allergies, cataracts, and countless other issues affecting the eyes. Appropriate treatment will be prescribed and if needed referrals will be made to corresponding specialists.